LGTNetwork is proud and honored to welcome Hotel Raphael member of The Leading Hotels of the World and MJL Select Hotels, to our exclusive list of luxury hotels worldwide. The Hotel Raphael is still privately owned & managed by the same French family for four generations. 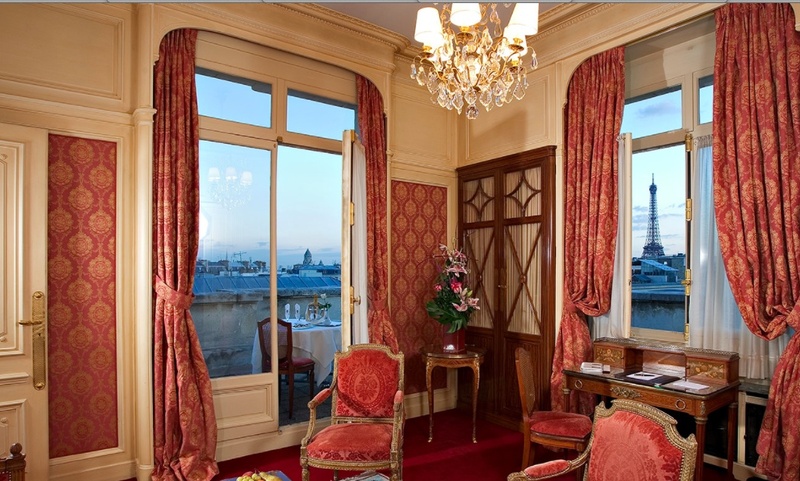 The Hotel Raphael has a perfect central location in Paris few steps away from the Champs-Elysées, the Arc de Triomphe, the main shopping area, corporate office and embassies. New since April 2012: The brand new gourmet restaurant is now run by the young and talented Chef Amandine Chaignot, one of the very few women to have taken the reigns of a Top Parisian restaurant. 13 Classic Rooms (30 m2 – 322 sqft), 34 Deluxe Rooms (40 m2 – 430 sqft), 20 Junior Suites (60 m2 – 645 sqft), 12 Junior Suites Deluxe (73 m2 – 785 sqft), Tour Eiffel Suite (60 m2 – 646 sqft / 70m2 – 753 sqft Terrace), State Suite (180 m2 – 1 935 sqft) , Raphael Suite (170 m2 – 1 830 sqft) and the Ephemeral Baccarat Suite (73 m2 – 785 sqft / 60m2 – 646 sqft Terrace). Raphael-The Terrace, on the roof top, is a unique Parisian place with a private garden-terrace. It offers magnificent 360 degree panoramic views over the capital’s skyline. A top notch place for a summer time drink or for a delicious meal.